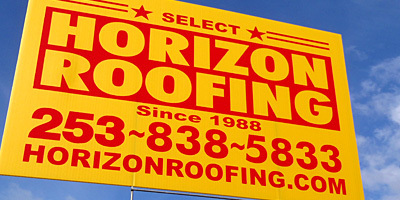 Horizon Roofing is proud to offer many varieties of roofing products and styles. Gone are the days of only cedar shakes or 3-tab roofing. 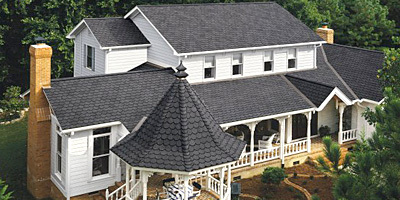 Shingles now come in a wide range of brands and styles that fit any style or size of home. Let us help you with the tools to seclect the best roofing product for your new home roofing repair or roof replacement. Horizon Roofing has been serving King and Pierce counties since 1988 with respectful customer service, business integrity, and well installed roofs. Call 253-838-5833 Today for a free estimate / free evaluation. We specialize in residential home roofing, commercial multifamily homes providing multiple roofing products options. We can help with every step of the roofing process. We Are South King County's Premier Residential Roofing Contractor! How can Horizon Roofing help you with your roofing project? You know your roof is wearing out and needing replacement... now what? We do not push one brand or style over another and will not trap you in your home with a tedious and grating sales pitch. You do not stay in business for decades if you have unsatisfied and unhappy customers. Learn why we represent the lowest risk to your peace of mind about the re-roofing process. Contact Us today for a free roof replacment estimate - proudly serving South King County in Federal Way, Auburn, Kent, Des Moines and more. — Roofing Products - All roofing styles/brands of composition shingles, premium cedar shingles and shakes, PVC and torchdown, slate and metal panels/shingles. — Glass Skylights - insulated low E glass, fixed and opening, and tubular. — Gutter Systems - continuous aluminum, cedar, and several styles of protection to keep debris out. — Roof Repairs - Have a trouble spot or leak? We can fix that - Call 253-838-5833!